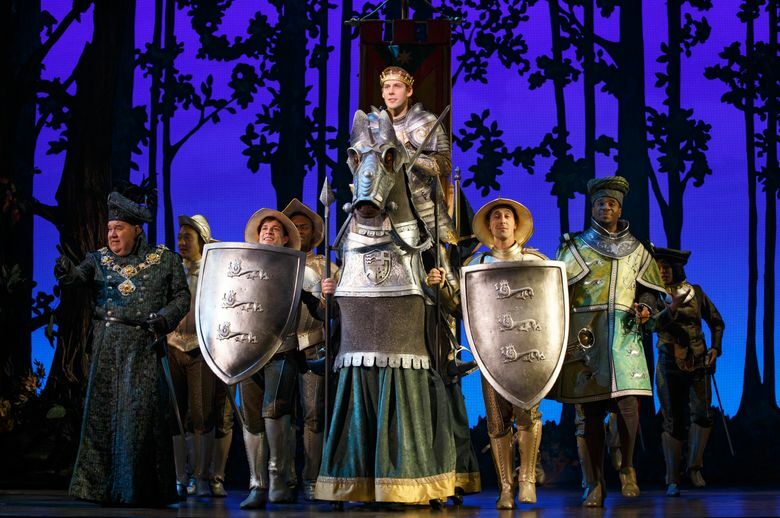 A review of the Broadway touring production of “Rodgers + Hammerstein’s Cinderella,” through March 1, 2015, at Seattle’s Paramount Theatre. 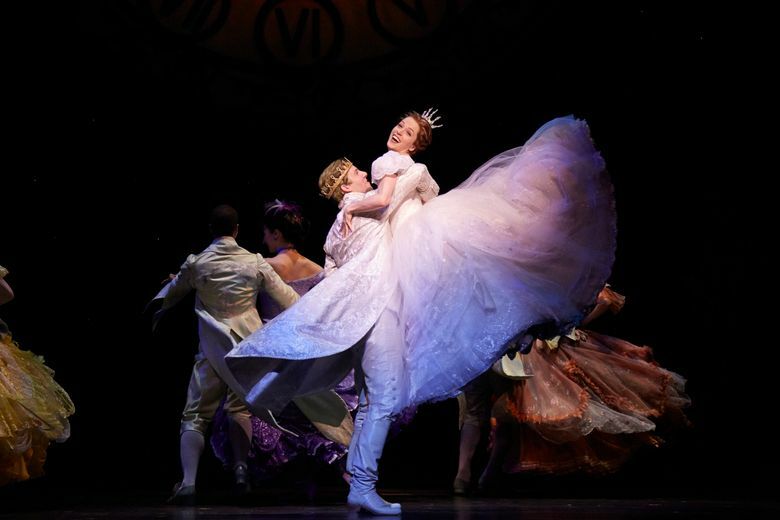 It’s been a little more than three years since the 5th Avenue Theatre staged “Rodgers + Hammerstein’s Cinderella.” Now it’s the Paramount Theatre’s turn. The 2011 version at the 5th Ave was a Christmas-season showcase for “Seattle’s Theatrical Royalty,” as the cast was billed at the time. It successfully emphasized comic relief and local talent. The Paramount’s show, presented by Seattle Theatre Group, is a Broadway touring production based on a new book that helped earn the show nine Tony nominations recently (it won for William Ivey Long’s spectacular costume design). Through Sunday, March 1, Paramount Theatre, 911 Pine St. Seattle; $25-$80 (877-784-4849 or stgpresents.org). The opening-night reaction at the Paramount couldn’t have been warmer. The audience embraced the Rodgers score, the rambunctious dance sequences, the spot-on casting and the dandy special effects, which included transformations so skillful they belong in a live magic show. There’s nothing quite like witnessing poor Cinderella’s physical change from persecuted maid to fashion model, and nothing like watching her equally impoverished friend instantly become a fairy godmother. It helps that Cinderella, played by Paige Faure, has a strong voice and a stronger personality — and that her princely fella Topher, played by Andy Jones, matches her wit and charm. As a romantic team, they’re just about perfect. Now if only they had a great set of songs. As it is, they share only one memorable ballad, “Do I Love You Because You’re Beautiful?,” though her character-establishing solo number, “In My Own Little Corner,” is pretty sweet. The director, Mark Brokaw, doesn’t always succeed in steering clear of the political correctness of Douglas Carter Beane’s rewrite of Hammerstein’s book, but he keeps the slender story flowing and the supporting players in focus. 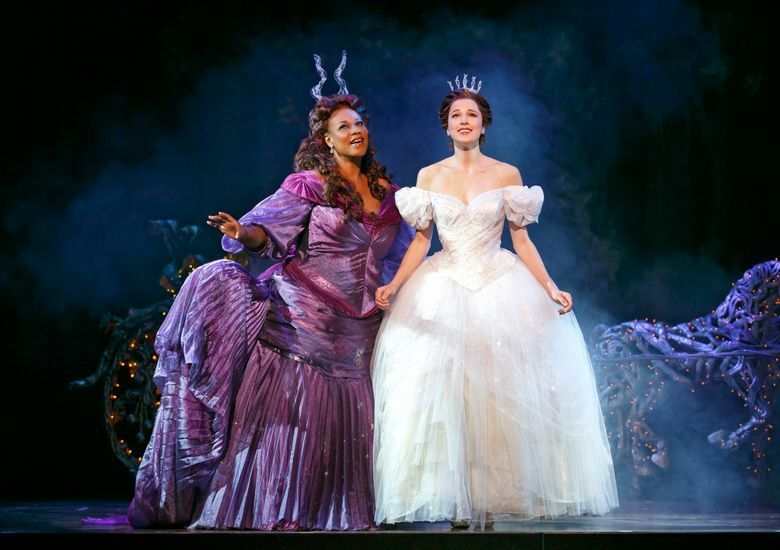 The Rodgers and Hammerstein version of “Cinderella” has an interesting history. It was first presented as a live 1957 TV special starring Julie Andrews and ran only about 76 minutes. It was redone in 1965 as a TV musical with Lesley Ann Warren, and again as a 1997 telecast with Brandy Norwood. The Brits were the first to turn it into a stage musical, in 1958. Songs were added to expand the length of the show. Some were “trunk songs,” written for other shows and sometimes abandoned in rehearsals. There’s more Cinderella to come. Disney, which created the hugely popular 1950 feature cartoon version, will be back soon with Kenneth Branagh’s live-action movie remake.